Archie Co-CEO/Publisher Jon Goldwater called the series a fresh opportunity to place Archie’s characters in a setting where there is no easy, happy ending with everyone feeling just fine. “I really view this as Archie’s ‘Walking Dead,'” he said. The monthly series is drawn by Francavilla with dark, ominous illustrations boasting artistic nooks and crannies. “We are taking a series of characters known to be light-hearted and young adult-oriented and doing a horror comic with them, so the mood, atmosphere, and setting are very important to make this a believable horror and not a comedy horror,” the Eisner awarding-winning artist said. The AP story has been picked up by numerous news and entertainment sites, including the Huffington Post, Washington Post, ABC News, Today, MSN, Sun Herald, Salon, Mass Live, The Star, Yahoo! News, CBC, Perth Now, Mississauga, Edmonton Journal, News.com.au, MetroNews, The StarPhoenix, Montreal Gazette, Dawn.com, Syracuse.com, and more. The historic first issue goes on sale at comic shops tomorrow, October 9th and features variant covers by Francavilla, Tim Seeley and Andrew Pepoy. Get in on the discussion. 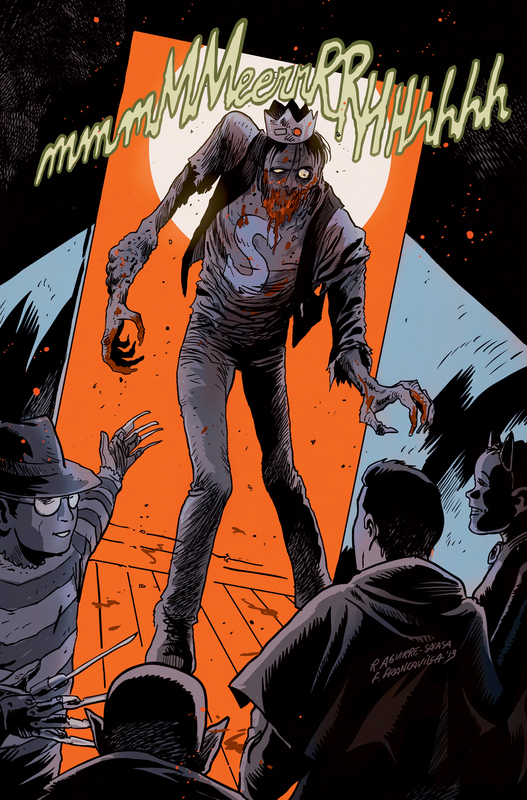 Follow @AfterlifeArchie on Twitter and ‘like’ the Afterlife With Archie Facebook page.